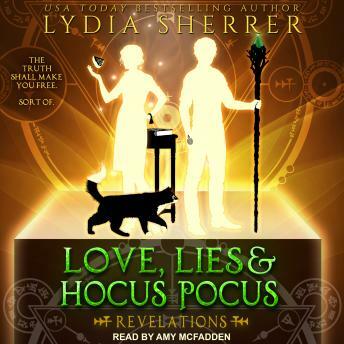 Listen to "Love, Lies, and Hocus Pocus: Revelations" on your iOS and Android device. The truth shall make you free . . . sort of. Armed with only wits and magic, she must manage her argumentative cat, thwart a plot to steal a powerful artifact, and decide who, amid all this, she can trust. The past, both ancient and modern, is catching up with her. Will discovering its secrets reveal her future, or doom it? Perhaps some truths are better left unknown . . .